Founder Joist • joistapp.com. Grew past business to 130 employees, $2.6M in rev before exit. 3 x Exited Entrepreneur and Active Angel Investor. Toronto & Portfolio Ops Director @highline. McGill Alum. 6-yrs of I-Banking + M&A. Hunter of wildly passionate Founders building disruptive digital products. Head of Technical Operations at @crunched, acquired by @clearslide, worked at @federated Media as systems lead. Systems administrator, hacker & tech evangelist. Co-founded @atendy. Experienced at developing event technology and mobile apps, and is a member of the Ontario Professional Ticketing Association. Co-Founder @lighthouse-labs-1, investor @retsly (acq @zillow), @picatic and @careguide. Former consultant turned entrepreneur building tools for SMBs. Biz Dev / Marketing Talents. Co-founder and head of growth/marketing at @coursemodo and @notewagon. Richard Ivey SB. Former NHL Player (NYR); Ivey HBA; 1st startup at 17; Sales and marketing, 6 yrs. Founder StackOps • Studied at @ie-business-school-1. Worked internationally in managerial positions, cross-sector IT companies. CEO of Iota Security. Worked on 4 continents. Studied at London Business School MBA; UWaterloo BSc. Business and Physics. Lover of innovative technologies. Management & Strategy Consultant. Founder @data-deck, @absolu-media & CMG. Developer of strategies in Healthcare & Technology. Experienced digital strategist with a proven track record of creating strategies and implementing changes for companies and new ventures in Canada and abroad. Financial journalist. Strong communicator and marketer. 15 years sales & operations. 9 years entrepreneur. Company #2. CEO of online furniture platform @remotestylist-com. Canadian! Tech entrepreneur, advisor, dad3.0, mountain-biker, guitar hack, car-nut, recovering Diet Coke addict. Also founded @freshtransition. VP Strategy @aplaceformom (@warburgpincus portfolio company). Previously @olympics 2010 @mckinsey @INSEAD MBA. Advisor to great leaders & companies. Retail & ecommerce business side guy. Well connected to legacy B&M retail. VP of Marketing & Business Development at E-Leads Canada VP of Strategy at In The Game, MBA from Kellogg & Schulich; Worked at Workbrain and Infor Global. Strategy consultant with Bain & Co. Led prod/service innovation project for regional wireless carrier. Experience in FS, telecom and private equity diligence. A self-managed and result-oriented operations expert with ten years of experience in project management, digital media, ad operations, campaign optimization, resource management, product development and client relations. Founder @prevly. CEO @spr-consult. Entrepreneur & consultant in the healthcare management & technology space. Founder and CEO at Fastr, Founder at Snowvel • Strong Business Background, Product Guy, Internet Junky, Finance, Building successful business relations. Founder @sensimat, @williamfmann; Ivey MBA 2012; Strong healthcare products background, health economics, KOL mgmt, med comm. VP level in Operations and Customer Service. Strong background in process and strategy for rapid growth, in a previous role I grew a team from 12 to over 150 in five years. VC/PE Professional. Experienced Entrepreneur. Medical Miracle. A triple threat. Experienced business strategist and operations manager, background in management consulting and technology startups. Strategic executive and international entrepreneur with exceptionally strong interpersonal, communication, problem solving and decision making skills. Business Process Manager; extensive client experience with setup of processes and software; strong communications skills (law firm experience). Perfect combination of a creative, business and technology background to lead your team. Bioengineer with extensive preclinical image analysis experience in industry-partnered projects. Oxford MBA, 5 yrs of IT consulting at Deloitte, PMP. Entrepreneurial, creative, and analytical. Excellent interpersonal skills. Engineer (Eng Phys, Queen's). Strong Business Bkgrd (Currently BCG Consultant, Rotman MBA 2011). Ops Bkgrd (Construction, 4 years). Hobby iOS app 'Route-Out'. Design, Marketing & Project Management Professional. Hands-on MBA anomaly. Driven to make an impact, not to get rich. Dynamic finance/marketing professional with a natural knack for investing, communications and innovation. Buy-side investment profesional with deep experience in quantiative analytics. I will do what it takes to get the job done. Innovative and entrepreneurial senior executive. Kellogg MBA. Extensive capital markets background. Data evangelist. Start-up & systems development experience. Project Lead Health Information Services: strong background in implementing integrated IT solutions at complex and large health care environments. Carnegie Mellon grad student, 5 years Business Intelligence experience, Currently interested in machine learning and data science using Python. Looking for new gig in partnerships/project-product/strategy, special focus on social impact • ruby on rails dabbler • @carleton-university M.A. Executive in Finance / Real Estate with Start-up Experience. CPA/CGA + IBM management + Cornell/Queens EMBA. Passion for business, engineering & design. Ivey HBA and materials science dual degree candidate 2016. Currently working with medical technology start-up Fernando Kerr. Co-founded first start-up in 2012. President, Pintegrate. Previously GM of @nortel's $200M Enterprise Messaging portfolio & @open-text's FirstClass Division, creators of @open-text Social Workplace. Founder of @loadup @kriticc @zestfuse @emfixr - Innovative guy that creates dynamic and super social platforms. Ivey Business grad, Business Development/Sales experience with creative/marketing skills and entrepreneurial spirit. B.Com graduate from McGill. Diverse marketing background. Experience in 2 startups. Tech savvy @IEBusiness MBA grad from London living in TO. Commercially aware, an eye for design and intellectually curious. Also enjoys lager and scotch. EVP Global Client Growth @buzzstarter, marketing and innovation guru, advisor and accelerator, driven by results! Journalist and web producer for the Financial Times, writer for Fast Company, former financial trader. Multimedia Content Expert since 1995. If there's something New Media I don't know, I have a drinking buddy who does. Goal driven, self motivated, customer service oriented and business development focused. CEO Leantronics. Experienced Entrepreneur, Executive and Chief Catalyst helping startups and early phase companies grow in IoT, Home Automation and Wearables. CEO of Strategic Analysis Corp. Small business finance and operations expert with 10+ startup/growth companies. B.Sc & MBA from IESE Business School 2001. Waterloo Math & Laurier Business. Previous experience at BlackBerry - R&D Finance, TD Canada Trust - Technology Services, and GE Nuclear - Finance & Accounting. Edinburgh Business School MBA 2011. Worked as an engineer on development and design of several projects. Operations specialist. Lean Six Sigma Black Belt. Co-Founder at Kingmaker (now a Joyus company) and serial entrepreneur. Schulich MBA graduate ('14); Specialization in RE (with PE and VC exp. ); Interned @ Cdn. pension plan (alt. investments); Management and consulting experience. Worked for several blue chip firms in cross-functional roles. Looking to take this training and apply it in a more entrepreneurial minded environment. Founded/worked at an incubator. Launched multiple successful companies in Europe. Experienced in Technical Sales and Marketing with 10+ years hands-on work experience in Advanced Materials and Technical Ceramics. Optimized business motions and lowered costs (of over $40K annually) by finding more efficient processes with less resistance at Microsoft Canada. Ph.D. EE, Generalist, Worked at large, mid-, small companies. Entrepreneurial, self-starter, with extensive project and stakeholder management. 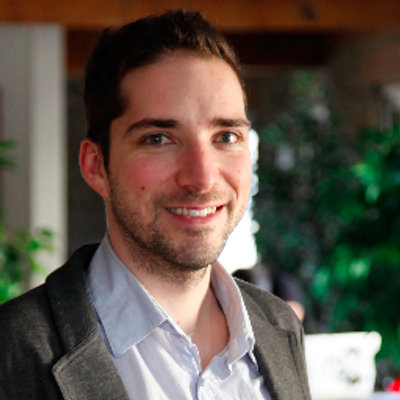 Founder and CEO @fhotoroom , Worked at IBM, also Microsoft Partner and BizSpark Plus Member, school Ryerson. Launched 2 successful startups in 3 years both have been (acquired) accomplished CEO, COO.Masters degree Business Admin, Diploma PLC. Ryerson Architecture Grad., Eclectic set of skills ranging from problem solving to project management. Work experience in Sales/Design/Architecture/Engineering. UWaterloo co-op grad in Accounting and Finance, passionate about technology and food. Looking to start my startup adventure! Manager(Product/Project) with a solid full stack development background in a multitude of industries. Passionate in all things technical and technology. Do you want your business to bloom? I can help your company to achieve that growth by using my consulting experience from a large multinational organisation! Experienced Business Operations and Project Management Professional with technical background. uWaterloo Math Grad. Multilingual translator, worked in Hong Kong, France, Belgium, Canada and Brazil. Superstar resource finder. University of Toronto 2008. Management consultant seeking exciting start up or product to build into an internationally known brand. Founder, CEO at Konopi. V.P. at Rampart. Experience in Business Development, R&D, Product Development, Quality and Environmental Management. Electrical/biomedical engineer. Founder of multiple start-ups including Atreo Medical, acquired by Medtronic. Worked at Medtronic. Brand development and Marketer who loves startup. Specialize in customer acquisition and validation. Bilingual MBA & Master of Finance Operations expert, experienced in launching new companies. As a true self-starter, I deliver results. Tech student, bigtime golfer, and still want to win the Stanley Cup. Dream big, be good, explore. Western Business Grad, interested in Sales & Marketing Positions. Past experiences in BW and analytics. Graduate from McGill University. Internships as a research analyst and business analyst. Ran a startup event production company in university.